Are you planning a trip to the city and looking for Accommodation in Exeter? 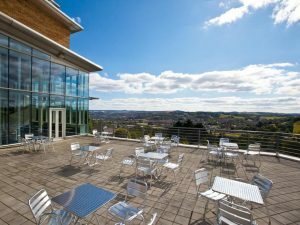 Whether your visit to Exeter is for a short break, an overnight stay, or a visit to one of the many events, there is a wide choice of accommodation available many of which are located perfectly just for the occasion. There are some lovely places to choose from. Period building set in idyllic locations. Easily accessible modern day lodges. If it’s a weekend break or a longer stay then you’ll find something just for you. Within the accommodation pages on ExeterViews.co.uk we have included a range of services that would appeal to most visitors. For those who are following their sports teams to the area. For those holidaying to this beautiful city. And others who could be combining it with something else to make it an all-round special break! The City provides an excellent choice of accommodation with a good selection of quality hotels and conveniently located b&bs and guest houses. 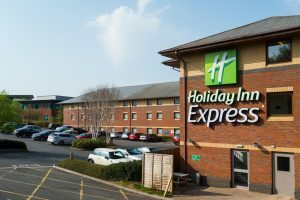 The Holiday Inn is conveniently located close to the M5. The property is on a bus route into the city and also ideal for exploring the beautiful Devon countryside. 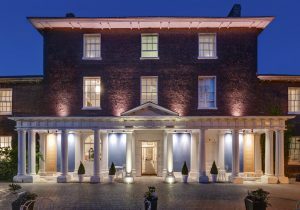 Southernhay House Hotel is a sumptuous hotel set in a former gentleman’s residence. It is located right in the heart of the city and therefore close to the shopping district and many of the city’s attractions. Holland Hall is located on the Exeter University campus offering bed and breakfast accommodation. St Davids Train Station and the Exeter City Centre are approximately 20-minutes walk from this property. The Exeter accommodation featured here are just a selection of what’s available. You can view more on our accommodation page.